SQL Server considered by users for storing large sized databases without any limitations imposed on its file size or the number of storage being done on it. But even then, some or the other thing may cause inaccessibility issues to its database like malfunctioning of the server or the system, improper shutdown of the server or system, malware intrusion, server crash, hardware crash, corrupt sector, etc. In such circumstances users usually end up demanding for a dependable procedure to execute SQL restore. Meanwhile, getting one such source of solution is not that easy when the software industry is stuffed with innumerous range of software applications. With the help of this segment users can easily know what sort of issues end up corrupting the SQL Server database and what sort of issues end up causing it. In this approach we will discuss the SQL Server Error 5171 and will know how to fix this issue. What If SQL Error 5171 Occur ? "An exception occurred while executing a Transact-SQL statement or batch. _db.mdf is not a primary database file. (Microsoft SQL Server, Error: 5171)." You can get the error which states a fairly similar statement. "C:\Program Files\Microsoft SQL Server\MSSQL.1\MSSQL\Data\MYDATABASE.mdf is not a primary database file. (Microsoft SQL Server, Error: 5171)"
How to Fix SQL Server Error 5171 ? The above discussed situations and series of error messages occur whenever the Master database file header becomes corrupt or internally damaged. Or some sort of invalid value is put into the header file of master database. These kind of situations becomes the sole reason for the requirement of SQL database restore procedure and that is what compels users to go for any available manual, script or built in procedure to repair MDF file & get back their database. 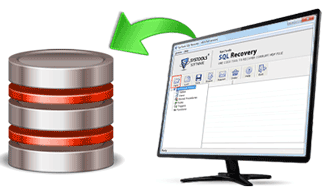 This application is one of the highly considered and reliable SQL restore application available in the entire software market.